Florida Highway Patrol Trooper Donna Watts was just doing her job on October 11, 2011 when she tried to pull over an off-duty Miami police officer in a patrol car, who was driving 120 mph down I-95. But Fausto Lopez continued speeding down the highway, refusing to pull over for several miles. Not knowing why Lopez would not pull over after being “lit up,” Watts had him exit the vehicle at gun point. It just got crazier and weirder from there. 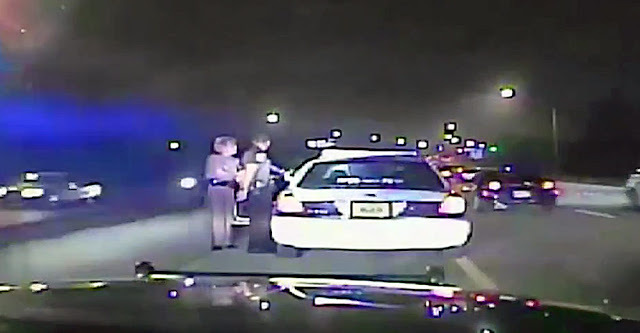 The dash cam video of the incident went viral, creating a national discussion on Blue Privilege, not to mention tons of animosity between the Miami Police Department and the Florida Highway Patrol. Fausto was eventually fired, but cops throughout the state from agencies began obtaining Watts’ personal information through the state’s Driver and Vehicle Information Database (DAVID), using that information to harass her for daring to pull over a fellow officer.